Description of Organizational Development. Explanation. Organizational Development (OD) is a planned effort aiming at increasing an organization’s efficiency, its ability to change itself and to adjust to changes. The term Organization Development is used loosely since the late 1950s to describe a philosophy, process and set of approaches and methods to improve the functioning of organizations. "a planned effort that is organization-wide, managed from the top, to increase organization effectiveness and health, organized through planned interventions in the organization's processes, and based on behavioral science knowledge". Behavioral sciences include psychology, sociology, cultural anthropology, economics and political science. Typical for most Organization Development approaches are underlying soft, humanistic, democratic, and socio-ecological values. OD normally involves consultants. The main function of these change agents is to help the sponsoring organization define and solve its own problems. OD is traditionally skeptical towards harder practices and methods such as strategy, restructuring, downsizing, information technology and a business-orientation in general. In its broadest sense, OD refers to the process of continuously diagnosing, action planning and evaluating in order to transfer knowledge and skills to organizations to increase their capacity to deal with problems and manage future changes. In the strictest sense of the term that sees OD from behavioral science perspective; organizational development is not a process that every organization goes through. Rather, it is than referred to as a range of efforts that aims to bring about planned change so as to increase an organization’s efficiency, its ability to change itself and to adjust to changes. 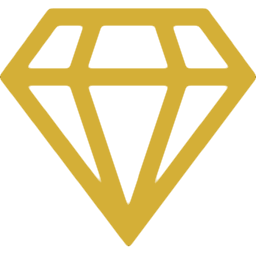 These objectives are achieved with help of specialists (such as change agents and catalysts) and of theories of applied behavioral science such as Action Research. In this way, OD differs from Organizational Change in that organizational change also includes unplanned change or unforeseen changes that are imposed on an organization. 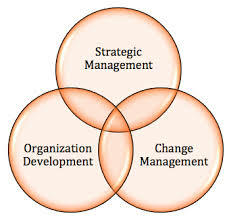 OD overlaps with fields such as Change Management and Strategy. Some approaches and techniques connected to Organization Development are: Action Research, Managerial Grid, Organizational Learning, Unfreezing, Moving, Refreezing and the Positive Model. Organization Development (or Organizational Development) became a practical field of social science mainly by Kurt Lewin’s (1958) work on Action Research and Survey Feedback. He is seen as the founder of OD. Kurt Lewin suggested that research should be closely related to action if organizations want to successfully manage changes. Action research became an integral part of organizational change and is nowadays the base for OD applications. OD thus developed out of other theories and technologies. The term became self-confident and dynamic by the 1960s and 1970s. During this period, the principles of OD for the twentieth century were generated. Typical proponents are Argyris, Beckhard, Bennis, Blake, Lewin, Maslow, McGregor, Schein, Senge. Entering and Contracting: The first step refers to collecting information or initial data in order to identify and understand problems that organizations are facing to detect the positive areas for research. The threats and opportunities that are identified by the gathered information are discussed in order to establish a contract to get engaged in planned change. These contracts include issues such as future change activities, what resources to use for planned change and the role that OD specialists will play. Diagnosing: This step includes a careful study of the client system, in order to diagnose and understand organizational weaknesses and strengths, including their causes and effects. This step also includes giving feedback to managers about the information gathered. Planning and Implementation: This step is about designing OD interventions that will meet the organizations’ objectives; about making action plans to implement those OD interventions designed. Evaluation and Institutionalization: Step four refers to making the action plans and OD interventions a permanent part of the organization’s businesses and operations. Interpersonal Relationships: An important process in OD is team building and effective team formation. Therefore interpersonal relationships between organizational members are strengthened with OD. This in turn boosts morale and leads to a decline of employee turnover. Adaptability: OD uses a broad network of interactions and communications with all members of the organization to increase the organization’s effectiveness. This personal contact with organizational members increases the ability to adapt to changes. Time-Consuming: OD involves various processes that can be time consuming. Examples are surveys about an organization’s efficiency of organizational processes and consumer feedback. Such time consuming processes may negatively affect the short term productivity of the organization. Administrative Difficulties: OD involves the continuous reevaluation of an organization’s desires and responds to these, so as to maintain or increase efficiency. Because OD involves the change and addition of elements to the structure of organizations in order to increase efficiency and fulfill the needs of the organization, administrative challenges arise. Beckhard, Richard (1969) "Organization Development: Strategies and Models." Reading, MA: Addison-Wesley. Cummings, T. G., & Worley, C. G. (2009) “Organization Development and Change” Cengage Learning. This ends our Organizational Development summary and forum.